This is how to quit your job! Because the most important part of the job hunt is how you leave a job. Despite the thousands of career advice books that are released each year, none are dedicated to the importance of leaving a job gracefully. Don’t be one of the millions of people who make common mistakes during their final days at a job; mistakes that hurt them for years to come. 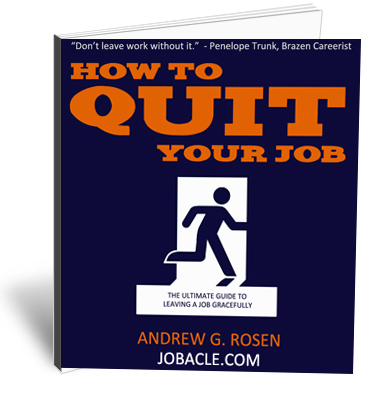 Here is a healthy excerpt from How to Quit Your Job: The Ultimate Guide to Leaving a Job Gracefully (ISBN 978-1-4660-1895-2). Parting is such sweet sorrow. Or is it? Let’s be honest, when it comes to leaving your place of employment, saying goodbye can be downright exhilarating. Unlike waving to a loved one as you board a plane, when you leave a job, you are likely not thinking of reconnecting at a later date. Your departure probably feels like the final step of the long and grueling process known as the job search. Combine the excitement of moving on with the illusion of “the end” and you’ll start to understand why so many people fumble the ball right before the goal line during the last play of the game. The consequences might not be immediate, but that doesn’t mean they won’t be severe. Leaving a job is an art form – one that most people will never perfect. Why? Because it’s something we only do a handful of times in our lives. Practice is not an option. That is why it is imperative to get it right. In a world where there are already too many career advice books, we couldn’t help but notice that 99% of them are about landing a job, not leaving one. A graceful exit sets you up for your next job, therefore making it the first true step of the job search. Every end is a new beginning, so let’s get started. Exiting a job conjures up different emotions for different people. For some, it’s vindication; a chance to show your boss that you’re no longer shackled to your desk. That you’re worth something. Desired. 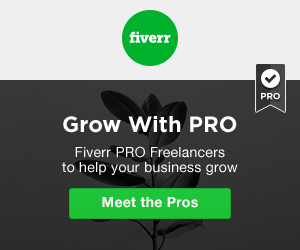 For others, leaving a post is as nerve-wracking as jumping from a plane without a parachute. One of the tools in your arsenal to help eliminate emotion overload and keep you on-point is a resignation letter. Cut and dry in nature, this letter is designed as a courtesy to the employer, delivering transition information while giving you one final opportunity to display your professionalism. A resignation letter gives you…PROOF. Here’s the story of Mike, a hard-working cubicle dweller at BS Corp. for the past six years. After accepting an amazing job offer from the competition, Mike sat down with his direct supervisor and verbally delivered the news of his imminent departure. For the next 10 days, Mike quietly toiled away, tying up all unfinished projects and performing his job dutifully until the end. In a chance encounter, Mike bumped into the head of HR in the hallway. The look on Doug’s face said it all; Mike’s pending exit was news to him. Whether the supervisor’s decision keep Mike’s two weeks notice from HR was born out of spite or forgetfulness is irrelevant. The bottom line is that there are no winners in this situation. The manager looks silly, the employee can be resented, and HR has to scramble to fill the job. Tip: Keep in mind that when you leave a job, it might cast your manager in a poor light. Give them time to digest the information. Do not take their initial reaction personally. Part of knowing how to quit your job successfully is limiting your emotions. A written letter lets you hold on to something tangible. It also allows you to follow up after the meeting. Even if you have physically handed the letter to your boss, be sure to send an electronic version immediately afterward. This will attach a date stamp to your actions. Just to follow up on our meeting several minutes ago, attached is my official letter of resignation. There’s no need to reiterate the points already in the letter. Short and sweet will get the job done. A resignation letter should clearly indicate the exact date you will be severing your ties with the organization. Please be advised that Monday, July 1, 2016 will be my final day here at BS Corp. Confirming your date of separation will ensure that everybody can stay organized during this time of transition. A resignation letter keeps it…PROFESSIONAL. With the world texting in sick to work and increasingly communicating via electronics, a printed letter still adds a level of professional credibility to your actions. Despite the move to digital media, most of the world can still appreciate a physical letter; something they can hold on to. A resignation letter lets you…STAY ORGANIZED. Be sure to file a copy of the letter in your personal files. Keep a hard copy and send it in an e-mail to an address you frequently use. This information will come in useful down the road when additional updates to your resume are necessary. While many employers will not verify all of the information on your CV, the most likely shred of data that they will validate are the dates of employment. This letter puts the important date at your fingertips. Looking for resignation letter samples? Buy the ebook. Now that you have handed in a typed resignation letter to your supervisor, it is time to let your colleagues and peers know that you are moving on up (or at least out!). One popular tactic is to send out a mass e-mail to everyone you have come in contact with during your tenure. In this case, choosing a distribution list is a tricky battle. On one hand, you want to extend the courtesy of letting everybody know that you are leaving. On the other, there will be plenty of people who simply won’t care. It is for this reason we recommend delivering the news in person to as many people as possible. Shake hands, make eye contact and visit everyone you had business with before you depart. Individual, handwritten thank you cards are a nice touch for supervisors and/or people you truly learned from. No gifts, please. You might think there aren’t enough hours in the day, but remember – a graceful exit is an art form – one that can pay dividends down the road. From the security guard who mans the front desk to the intern who started five days ago, if you deal with the person on a regular basis, or have had a recent interaction, don’t skip out on a proper goodbye. When wondering how to quit your job successfully, be sure to be human about it. You have a unique relationship with each person you deal with. And each deserves an individual goodbye. Here are some examples of REAL goodbye letters I’ve received over the years. File these under BAD MOVE. TIP: The main goal of the goodbye letter is to provide your new contact information and show gratitude. Need a plan to stay calm? Want a roadmap to guide you through your final two weeks at a job? Need to ask for reference letters and go through an exit interview? We have you covered. “How to Quit Your Job” also includes resignation letter templates, goodbye letter samples and oodles of career advice. “This book is a MUST‐READ…” – J.T. O’Donnell, Nationally Syndicated Career Expert & Author of CAREEREALISM. My name is Andrew Rosen and I am the founder/editor of Jobacle.com. Since 2005 we have been dishing out career advice that gets results. With more than 1,000 career articles published on major websites, including Yahoo! and U.S. News & World Report, I encourage you to join the millions who have read our blog and downloaded our podcast. The eBook PDF is available immediately after payment.